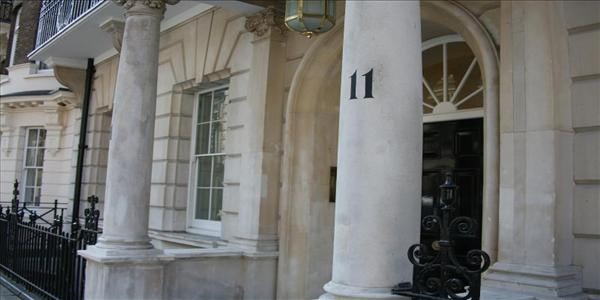 Currently making something of an impact in the Brexit debate is an operation calling itself the Legatum Institute, based in fashionable W1 with the address of 11 Charles Street. According to its website, it was set up in 2009, but it does not seem to have been fully funded until recently. The Charity Commission records that the registered charity, the Legatum Institute Foundation, received over £4 million in income in 2015 – up from just under £3 million in 2014 and a mere £2,500 in 2013. The Foundation is registered with Company House as a company limited by guarantee. But, according to the 2015 accounts (submitted to the Charity Commissioners in October 2016), the bulk of its income comes from the Legatum Foundation Limited, a company registered in Bermuda. The Bermuda company in turn is controlled by the Institute’s parent undertakings. One is the Legatum Institute, a company registered in the Cayman Islands. Its three current directors give their addresses as Convection Tower, Dubai Convention Centre, in the UAE. The ultimate parent undertaking is the Legatum Partnership LLP, a limited liability partnership registered in Jersey. The Institute itself is part of the Legatum Group, set up in 2006 by the multi-billionaire Christopher Chandler, formerly president of Sovereign Asset Management. This came after a demerger of the family business, Sovereign Global, managed with his brother Richard Chandler. Both New Zealand born, Richard Chandler is resident in Singapore. The Legatum business is based in Dubai. In the 2015 report to the Charity Commissioners, senior management personnel of the Legatum Institute were listed as Anne Applebaum, Giles Dilnot, Alexandra Mousavizadeh, former newspaper columnist Christina Odone and Shanker Singham, the latter acting as chairman of the Institute’s Special Trade Commission, fronting most of the Brexit propaganda. Applebaum is firmly on the political right, having been an adjunct fellow of the American Enterprise Institute. She has an extensive career as a journalist, working for the Washington Post, the Daily and Sunday Telegraph and the Economist. She was deputy editor of the Spectator and political editor for the Evening Standard. However, she resigned from the Legatum Institute in 2016, having disagreed with the director over the Institute’s support for Brexit. She now works for the LSE. Currently top of the hierarchy is Philippa Stroud, CEO of the Institute. Previously. She used to be Chief Executive of the Centre for Social Justice (CSJ), a think tank that she co-founded in 2004. Prior to the CSJ, she was Special Adviser Iain Duncan Smith MP (then Secretary of State for Work and Pensions) from 2010-15. Another of the Legatum Institute directors is Toby Baxendale. He is also on its board of trustees. As to other interests, he was director, alongside co-director Steve Baker, of the now defunct Leadsom4Leader, a limited company set up to support Andrea Leadsom’s Conservative Party leadership bid. Baxendale is also co-founder, again with Steve Baker, of the Cobden Centre, “a home for Austrian School economics in the UK”. He also set up the Hayek Visiting Fellowship at the London School of Economics. He has been a significant donor to the Conservative Party. The links with the Cobden Centre bring us to Perry de Havilland, supposedly independent editor of the Samizdata blog, and Matthew Elliott, who just happens to be a senior fellow of the Legatum Institute. Elliott, founder of the Taxpayers Alliance and one-time director of Vote Leave, sits with another Legatum senior fellow Tim Montgomerie, founding editor of Conservative Home and former Times columnist. At the Cobden Centre, he sits on the Advisory Board with Sam Bowman, research director of the Adam Smith Institute, Ewen Stewart – a managing board member of the Freedom Association – and Douglas Carswell. Yet another senior fellow Legatum Institute is Danny Kruger, former chief speechwriter to David Cameron, chief leader writer at The Daily Telegraph, and director of research at the Centre for Policy Studies. Listed as a Legatum fellow, along with many others one also finds Graeme Leach, founder and chief economist of Macronomics, a macroeconomic, geopolitical and future megatrends research consultancy he launched in 2016. He is a visiting professor of economic policy, a member of the IEA Shadow Monetary Policy Committee and has a weekly column in the City AM newspaper. Between 1997 and 2013 he worked as Chief Economist and Director of Policy at the Institute of Directors (IoD), where he was also a main board director. A trustee of Legatum is Richard Briance, the Chairman of PMB Capital Limited, a newly formed merchant banking business and former Chief Executive of Edmond de Rothschild Ltd. Before that, he had been Managing Director of Credit Suisse First Boston Ltd, Vice-Chairman at UBS Ltd and Chief Executive of West Merchant Bank Ltd. In terms of his other political activities, Briance was a Non-Executive Director at Oxford Analytica from 1999-2010 and he has been a trustee of Policy Exchange, the think tank created in 2002 by Michael Gove, now environment minister, Nicholas Boles and Francis Maude. One of the key figures in the Policy Exchange was Lord (James) O’Shaughnessy, formerly Deputy Director. He then worked for the Prime Minister, David Cameron, as his Director of Policy between 2010 and 2011 and for three years (2007-2010) worked in the Conservative Party as Director of Policy and Research. He has now become a senior fellow at the Legatum Institute. Another network is created with the use of Sian Hansen as chair the Institute’s development committee. Formerly managing director of the Policy Exchange, she went on to become executive director of the Legatum Institute, before leaving this full-time post in June last year to join the Social Metrics Commission, an independent charity “dedicated to helping policy makers and the public understand and take action to tackle poverty”. She is also an international senior adviser to Kreab, a Swedish communications consultancy, and holds non-executive directorships with the JP Morgan Income and Capital Trust PLC, Pacific Assets Trust and EBF International (Shanghai) Ltd. In October 2016, The Legatum Institute sponsored a report called The Road to Brexit. The foreword was by Duncan Smith, Philippa Stroud’s former boss. Also writing for the report were the MPs John Redwood, Peter Lilley, Owen Paterson and Bernard Jenkin – leading members of the “Ultras”. As well as Shanker Singham, there were two other authors, Sheila Lawlor and James Arnell. Lawlor directs the economic, education, constitutional and social policy programmes of think tank Politeia while Arnell is a partner as Charterhouse, displaying ultra views on Brexit. The picture one gets of Legatum, therefore, is of an exceptionally well-endowed think-tank with fingers in many pies and strongly networked with other think-tanks and the media. With offshore finance, though, this is redolent of foreign interference in UK politics, by a company which seems to attract dubious publicity, and critical appraisal. The greatest concern, though, comes from reading the Legatum website. Having invested heavily in Russia and developing countries, the business speciality is moving into markets at times of crisis where assets are mispriced. With an eye for emerging trends and undervalued assets, it invested heavily in the telecommunications sector in Brazil, just after the country emerged from hyperinflation. It describes its own “investment heritage” in navigating through choppy markets, following the great financial crisis. The company takes great pride in its investments in Hong Kong real estate, a market which investors had fled after the signing of the Sino-British Accord, an agreement that promised to give Hong Kong back to the Chinese government. It saw assets mispriced, and noted that “opportunities arise in times of crisis”. This is a business style which has been described as “disaster capitalism“, which would benefit significantly from a hard Brexit. Here, a comparison could be made with Hong Kong, where a similar situation might arise in a UK under the stress of a hard Brexit, where many traditional firms have run for cover, or relocated in the EU, leaving many assets under-priced. Looking also for opportunities arising from deregulation and further privatisation – especially in the NHS, with Legatum having considerable healthcare interests – hard Brexit presents multiple opportunities. This, after all, is a business that openly states that it “finds value where disruptive transitions create unique opportunities”. In this, the Legatum Institute seems to be paving the way for its “parent undertakings”, engineering a “disruptive transition” for Brexit, then to reap the profits from chaos. Its task is assisted by useful fools and fellow travellers on the Tory right. What we have often characterised as incompetence, therefore, may be more sinister. There is money to be made out of a hard Brexit. With an avg. 1.2M voters per MEP & Britain having only 8%, if united, say. The EUropean Parliament has no ability to make policy and has a Commission of unelected bureaucrats, thus clearly the EU is not even a pretence of being a democracy; yet The EU & many of its vassal States are willing to slaughter people in Sovereign States, to impose The EU’s chosen brand of democracy on them!